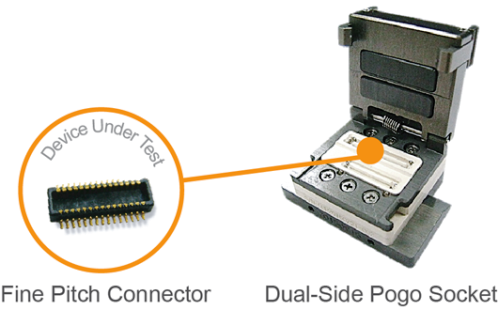 A board to board connection requires fine-pitch pogo sockets to achieve the required accuracy. Pogo-Pin testing solutions have a significantly increased lifetime with more than 30.000 touchdowns. The excellent connectivity reduces the coplanarity error that occurs with traditional testing pins and results in a improved efficiency of the testing procedures. CCP has developed different kinds of testing pins that can be customized according to the customer’s needs.